Email, file, SharePoint, and similar critical apps must scale easily over time while remaining both highly protected and easily manageable. 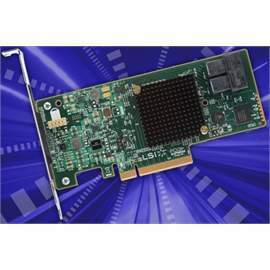 That’s where the MegaRAID SAS 9341-8i 12Gb/s SAS and SATA RAID controller card can add real value. Designed for small and medium businesses (SMBs) with tower and rack-mounted servers, it provides the headroom required for future growth at an affordable price point. Extensive support includes Microsoft Windows Server 2012/Vista/2008/Server 2003/2000/XP, Linux, Solaris (x86), Netware, FreeBSD, VMware and more.